The 386EVO 24 bottom bracket is not an adapter. 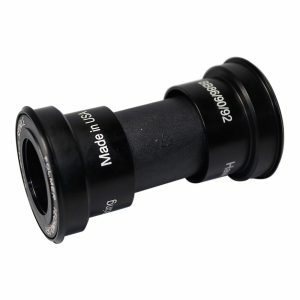 It is a bottom bracket specifically designed for EVO386 frames using a 24mm spindle such as Shimano and FSA. This results in low friction for your EVO386 at only 84g for the bottom bracket. It can also be used with a 22/24mm spindle such as SRAM GXP with our SRAM adapter kit (select SRAM crank below). The 386EVO 24 bottom bracket is not an adapter. 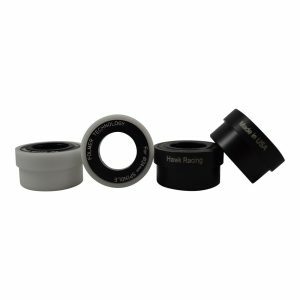 It is a bottom bracket specifically designed for EVO386 frames using a 24mm spindle such as Shimano and FSA. This results in low friction for your EVO386 at only 84g for the bottom bracket. It can also be used with a 22/24mm spindle such as SRAM GXP with our SRAM adapter kit (select SRAM crank above). Standard Bearings: Use for road bikes in dry/no salt environments. Full Stainless Steel Bearings: Use for extreme distance riding (>200miles/week), BMX, MTN, Cycle cross, and other varying conditions. 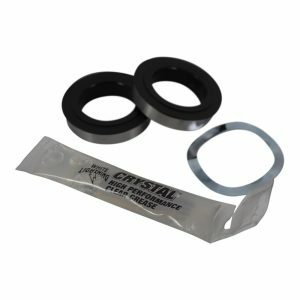 Full Stainless Steel Bearings with CX Seals: The CX seal is for riding conditions where water, dust, and debris can get into the bearing and degrade it prematurely. Use for MTN, BMX, Cycle Cross, or other wet and dirty conditions. NOTE: This is not for timed road biking as the extra seal slightly increases wattage. NOTE: If you have a EVO386 frame and want to use a 30mm crankset (386 cranks ONLY! ), you will need our BB30PF which has the same shell inner diameter as the EVO386. NOTE: For 22/24mm SRAM/Truvativ cranks you will need to select the SRAM option on the crank menu. 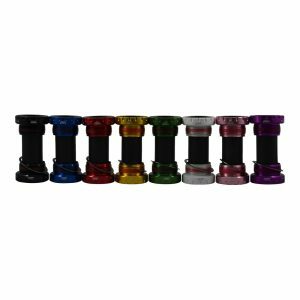 NOTE: For BMX cranks that use a 19mm spindle, road cranks with a 19mm spindle, and the FSA omega you will need our 19mm bushing kit which is sold separately. 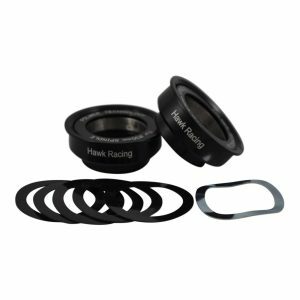 Hawk RacingTM bottom brackets have been designed with the pro cyclist in mind. 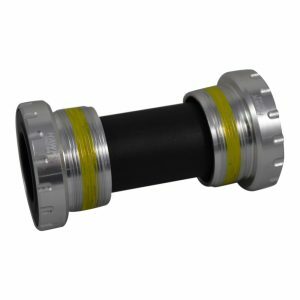 Replace your standard bottom bracket with a new generation bottom bracket that is 10% lighter than ceramic and takes up to 80% less energy than the next most efficient bottom bracket on the market. 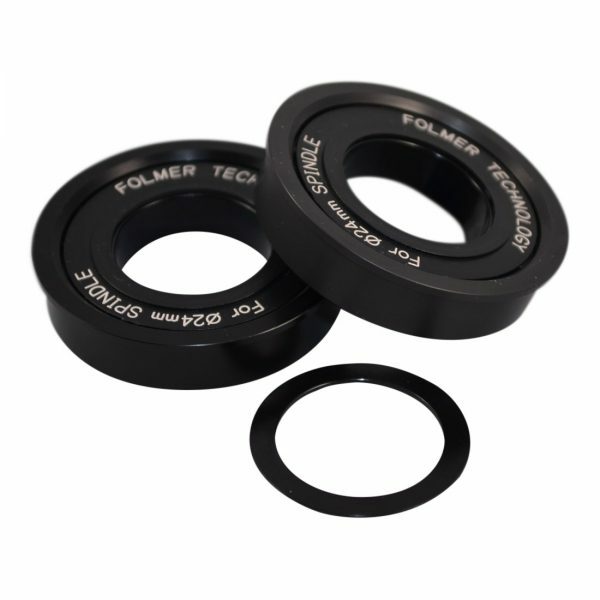 Our bottom brackets use exclusively Folmer TechnologyTM bearings (patent pending) which have changed the perception of ceramic bearings by being ultra light weight, durable, and affordable. Our bearings help you make each performance your best and will last without needing frequent service intervals. These specially designed bearings utilize a high-grade lubrication which is typically used in a slightly different form in the aerospace industry as well as a lighter seal than ceramic bearings. These features help get you to terminal velocity more quickly and easily. The 386EVO is not an adapter. It is a bottom bracket made to work with EVO386 frames such as the 2015 Ceepo Viper using 24mm cranksets such as the Shimano Hollowtech II. Award winning Folmer Technology bearings are installed in Alloy 7075 cups resulting in low friction at only 85g. This product is proudly made in the USA! Some special thanks go to our Authorized Dealer, Bike Works, in Kailua Kona for helping us develop this product through testing by professional Triathletes sponsored by the store!